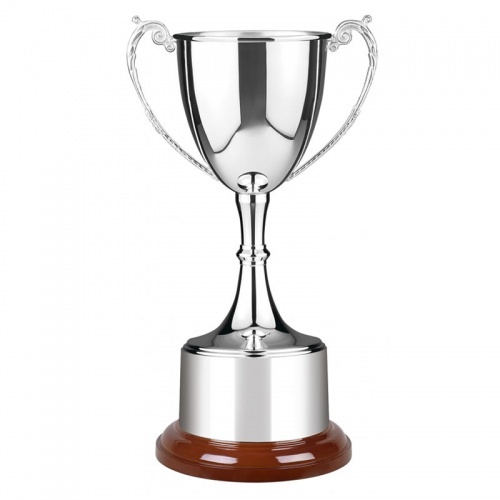 An elegant classic English silver trophy cup with ornate handles and supplied complete with integral plinthband and circular wooden base. This value-for-money trophy is handmade in Britain and is ideal for engraving on both the trophy body and plinthband. It is available in five sizes up to a whopping 16.5in (420mm) tall.